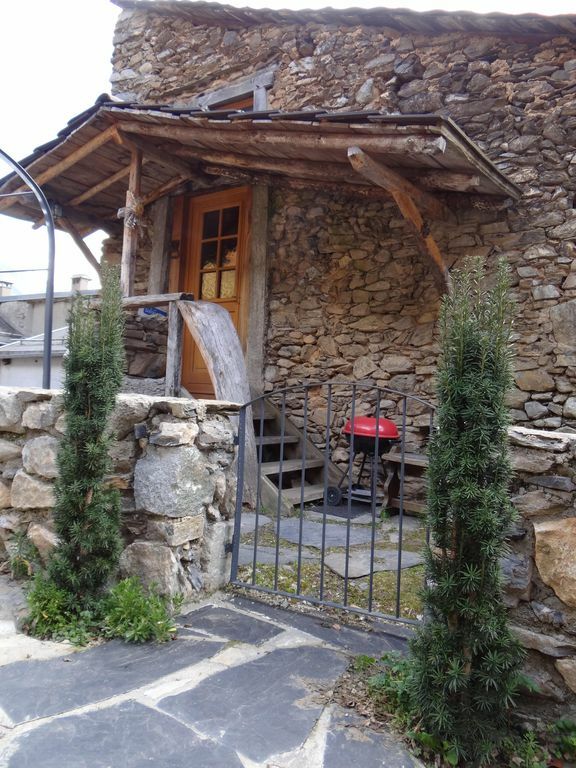 House in a small village perched at 865 m altitude surface 50 m²chambre Duplex. Ground floor: living room with open kitchen, 1 convertible 2 places, 1 extra bed available, bathroom with shower, toilet. Level 1: mezzanine, 1 bed 2 places in 140. Electric heating, TV, Hi-Fi, washing machine, microwave, oven halogen. Garden furniture, barbecue, raclette grill. Small pets allowed on request only. shaded garden of 300 m² in proximity (50 m from the house). Bathroom with shower tray, basin and toilet. optional household: 40 euros Renters must leave the house clean and tidy. Otherwise, 40 euros are to be paid extra. Possibility to rent a kit linen sheets, towels for 20 / pers / week, by planning this to the rental request. Saleix village perched at 884 meters above sea level in the heart of this charming village, Florence and Patrick welcome you throughout the year in their house in the mountain atmosphere. All around, the environment is exceptional, forests, pastures, hills, peaks (Peak Montcalm 3073 masl.) For hikes to suit all. Beautiful lakes await you for trout fishing. You can also practice safe and well supervised by professionals, canyoning, Via Ferrata experience, caving, mountain biking, horseback riding in the Vicdessos valley close to the sports context of Auzat. Ski lovers are not forgotten with nearby stations, and those Goulier Snow Ax les Thermes - Bonascre. The Nordic area of ​​the Port of Hers, the plateau de Beille among others offering beautiful ballads "huskies". Haute Ariege full of historic sites, caves, castles, a few steps you can visit the prehistoric site.